Standedge Tunnel, completed in 1811 and the longest canal tunnel in the country, was joined in 1845 by a new tunnel, constructed to accommodate the Huddersfield and Manchester Railway. The tunnel’s 2001 restoration cost over £5 million. When originally opened in 1811 – the total cost was just £123,804! On special occasions, British Waterways still allows people to try ‘legging’, where the boat is literally ‘walked’ through the tunnel using the rock face. The first boat through Standedge Tunnel, Lively Lady, had a band waiting at the other end to play Rule Britannia when it emerged. If you visit the tunnel today – you can take an ‘authentic’ boat ride and learn about the history of the people who built it! 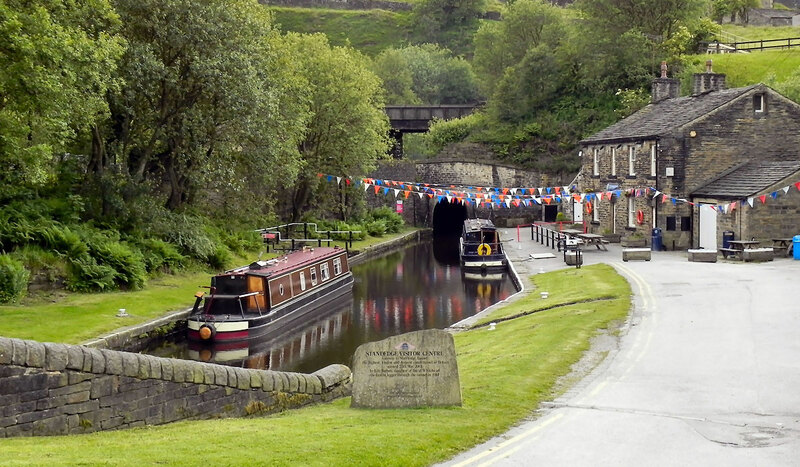 Described as ‘One of the Seven Wonders of the Waterways’, Standedge holds several records for a canal tunnel. Namely, it is the longest, highest and deepest in Britain – running deep beneath the Pennines. Opened in 1811, it is 5,029 miles long and reaches 194 metres underground at its deepest point. As you might expect from such eye-watering numbers, however, the path to its construction was anything but smooth. The period of ‘Canal Mania’, between the 1790s and 1810s, was the point in British history where canals were being dug and built at a phenomenal rate, often starting work before the technical ability to finish them was even developed. 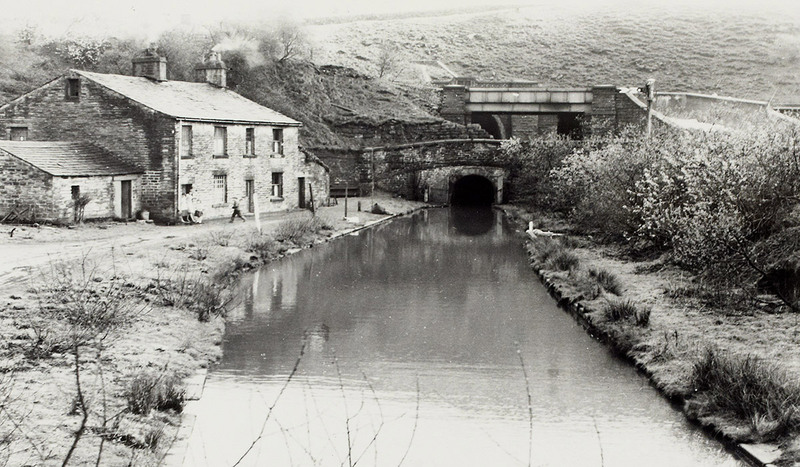 Standedge Tunnel was the biggest example of this – and almost led to the end of the whole canal industry. Poorly organised and poorly planned, the tunnel’s excavation was full of problems. Digging started at both ends to work towards the middle, but sometime later, engineers realised that the Diggle end was being dug at least three feet higher than the Marsden end. In trying to correct it, workers managed to collapse several sections – which was also down to an enormous amount of water seepage. It was no surprise that, in one year, only 150 yards of tunnel was dug. 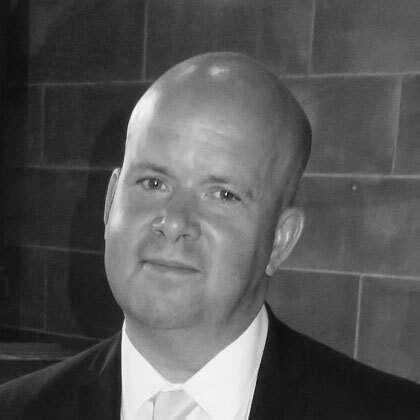 When the canal's engineer, Benjamin Outram, resigned in 1780, the canal company turned to the age’s star canal engineer, Thomas Telford, for help. Telford immediately spotted that – again – the two sides of the tunnel were not going to line up, so he ensured it was corrected properly this time. However, the tunnel still has noticeable bends as a result! After 17 years, the tunnel finally opened to great fanfare. Centuries later, it is still an impressive feat of engineering – although it underwent significant restoration in 2001 to make sure it remained operational. The Riverhead Brewery Tap and Dining Room - This superb pub with a wide range of ales is located just a short distance from Standedge Tunnel. Dovestone Reservoir - The perfect place to go on a long relaxing walk in the countryside. Greenhead Park - This beautiful green space makes for an excellent picnic spot during the summer. Colne Valley Museum - Experience life in the 1850s up close in this superb local museum. Castle Hill - With breathtaking scenery, this is the ideal location for a long country walk.